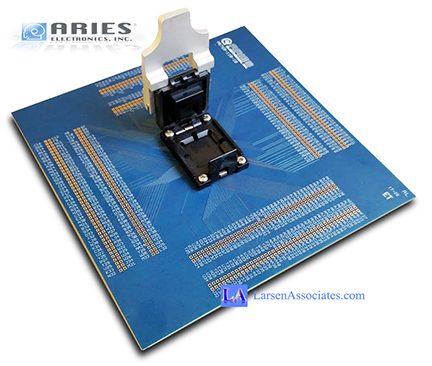 Now its easy to have a custom IC break-out board test fixture with your IC test sockets for your semiconductor IC device. 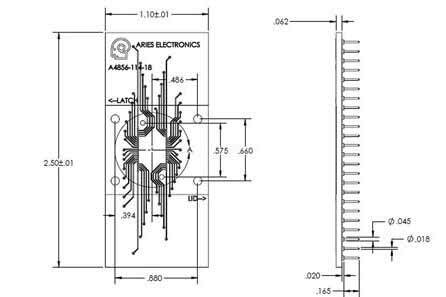 You can have just about any configuration you need as these boards are made to suit your exact needs. Note: There are no standard part numbers. Thats a good thing as the test socket and the breakout board will match your exact device, exactly, no so called off-the-shelf-parts that may, or may not really fit yourr IC well. No contact issues here with Aries. 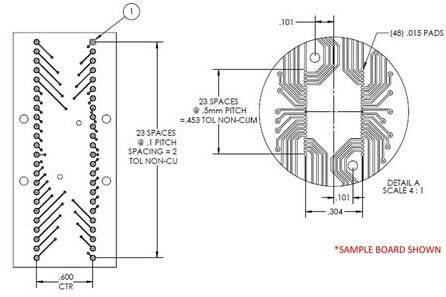 Tell us what you require and we will send you a quote with a part number just for your breakout board. 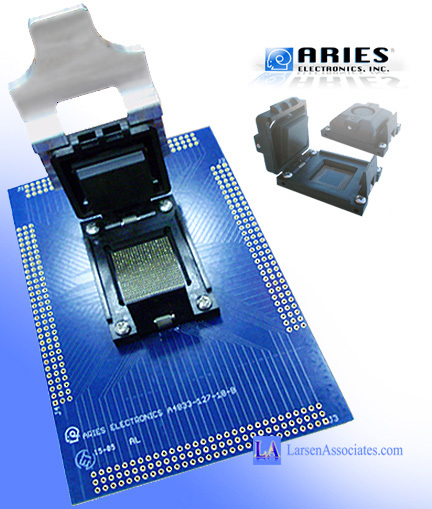 Based on Aries pattented "Correct-A-Chip" adapter product line Aries can make a custom breakout board that will be rugged, relaible, and exactly what you need. 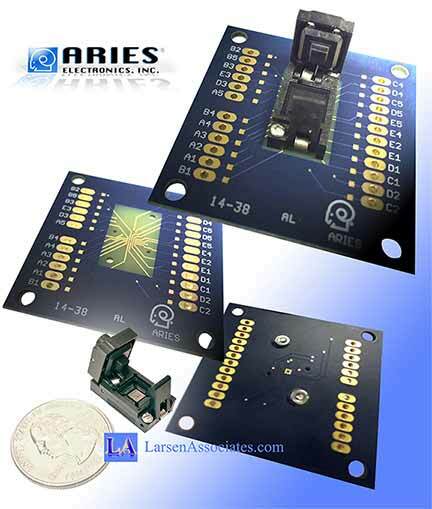 - Tell us the quantity of breakout board to be quoted. Typical IC custom break-out board layout. An example is shown, yours will be exact to your needs. Typical custom breakout board. An example is shown, yours will be exact to your needs. 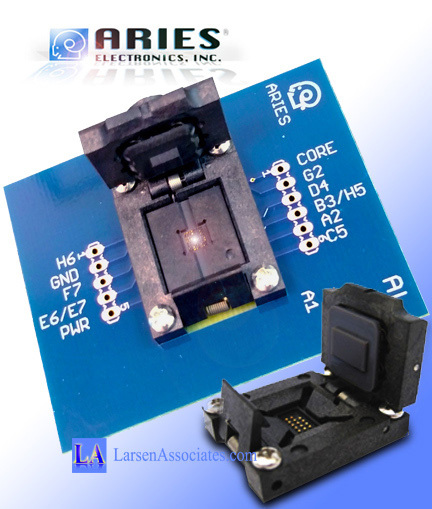 PDF Data Sheet: Breakout Board, Test Fxture, for IC test sockets.